, that "there are just some ideas that look so right you wonder why no one ever thought of it until now." Look at this unique idea for wall art! 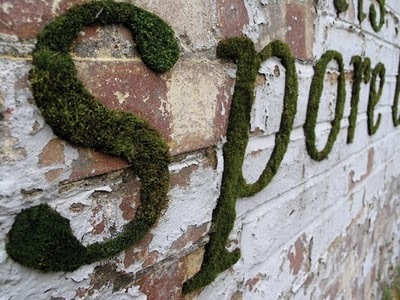 The graffiti is actually made of real moss glued to the wall! The artist is Anna Garforth. 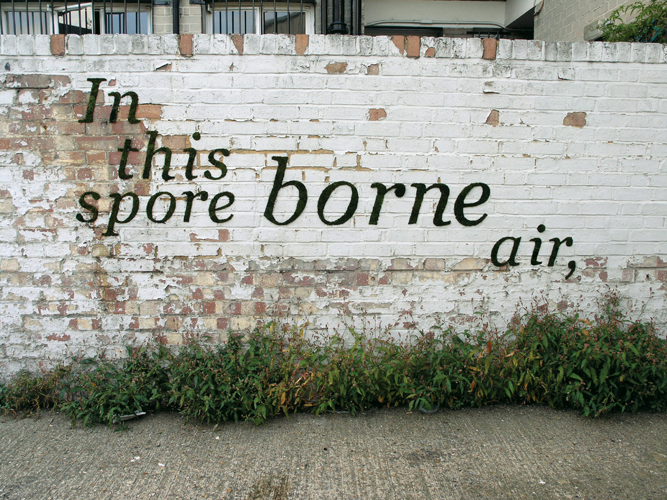 She uses nourishing ingredients to attach the moss to the surface. 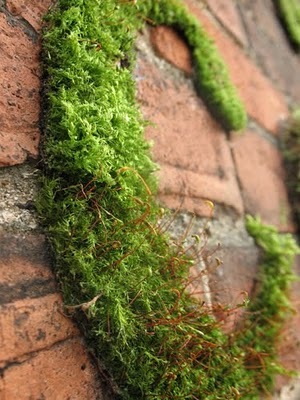 She collects common moss that grows well on brick walls and glues it to the wall using a mixture of natural (bio active) yoghurt and sugar. 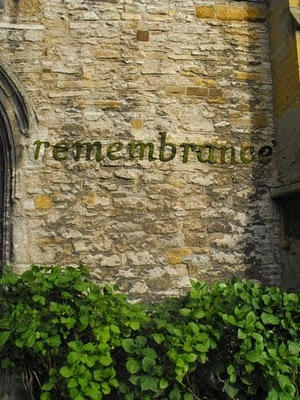 I think I may try this on my herb garden wall. Not sure what I will say. If you were to try this, what would you write? It's your turn.